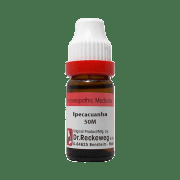 Prepared from the Ipecac root, also known as Ipecac, it is used in homeopathy for spasmodic irritations in the chest and stomach. Excellent remedy for all complaints associated with continuous nausea and vomiting, the nausea is not better even after vomiting. Given to those who cannot digest raisins, cakes. Suitable for amoebic dysentery with pain around the navel, with extreme straining while passing stools that it leads to nausea. Tongue is clean with increased saliva and nausea. Large quantities of blood from uterus, bright red in color with nausea. Cough is continuous and violent, with each breath. 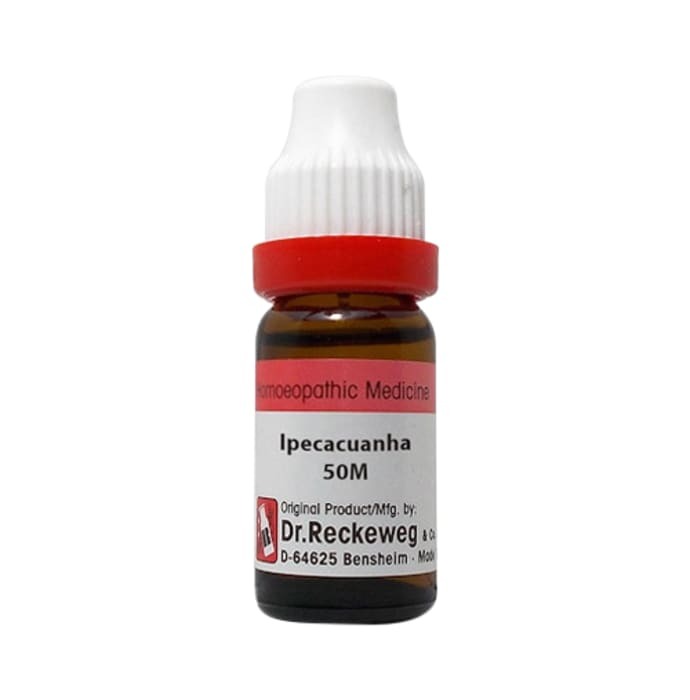 A licensed pharmacy from your nearest location will deliver Dr. Reckeweg Ipecacuanha Dilution 50M CH. Once the pharmacy accepts your order, the details of the pharmacy will be shared with you. Acceptance of your order is based on the validity of your prescription and the availability of this medicine.